On Friday 21st April we celebrated the Queens birthday a day early. 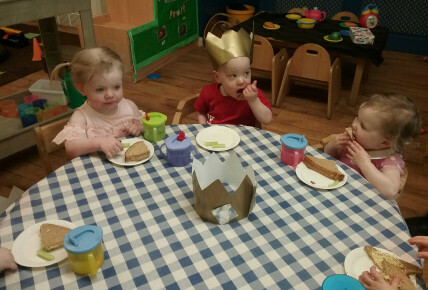 The children made their own crowns and made birthday cards to help celebrate. The children of preschool 2 also made special cakes so they could join in with the celebtrations. 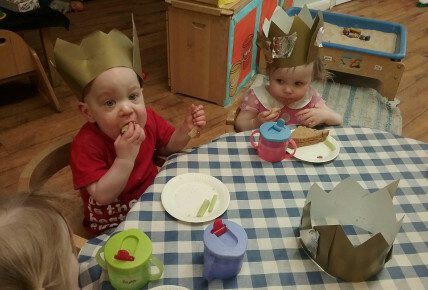 We also all had a Royal Tea Party to finish off the day. A very fun and royal day was had by every one. Happy 92nd Birthday your Majesty.